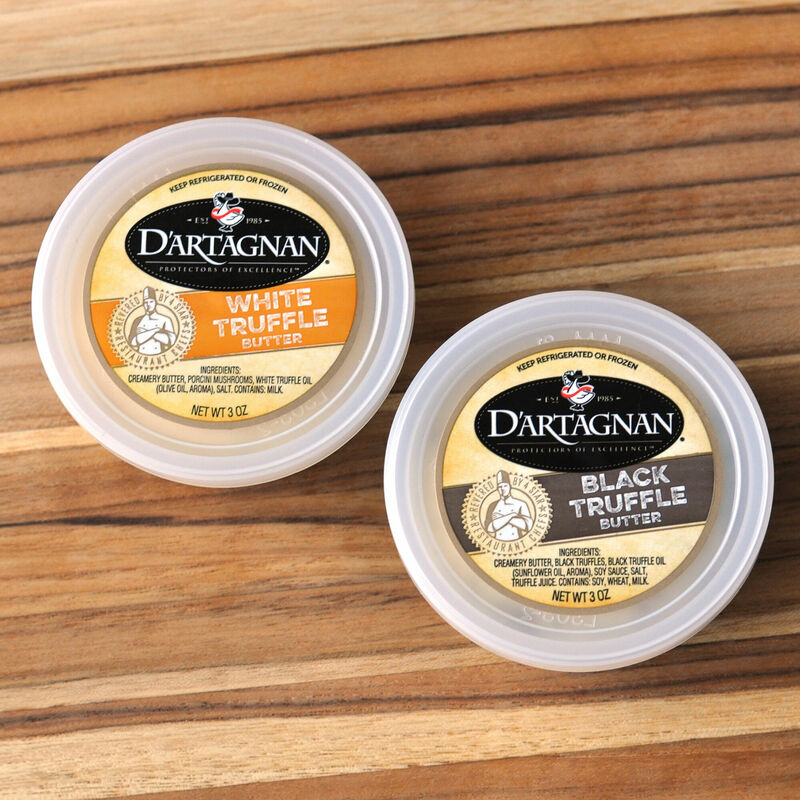 Creamery butter with truffle pieces and flavor, beloved by celebrity chefs and home cooks alike. Our truffle butter is an easy way to add authentic truffle flavor to your cooking and makes everything from pasta and eggs to risotto and popcorn—taste better. Try a dollop on a seared steak, or a few pats tucked under chicken skin before roasting.